I began with the database layer and created a simple auditing schema with some information I wanted to track about it in a database table. 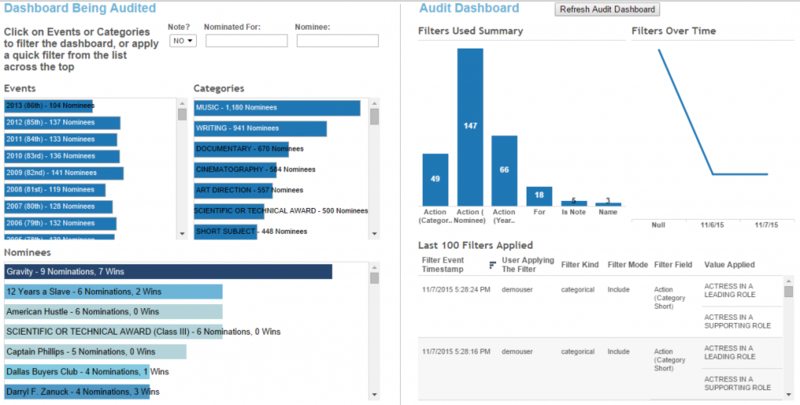 The attributes I am tracking are the audited dashboard workbook file name and url, the dashboard name being clicked on, the username of the tableau user evoking the action, the filter field being applied, the field type, whether the filter is being used in include or exclude mode and the filter values being applied. 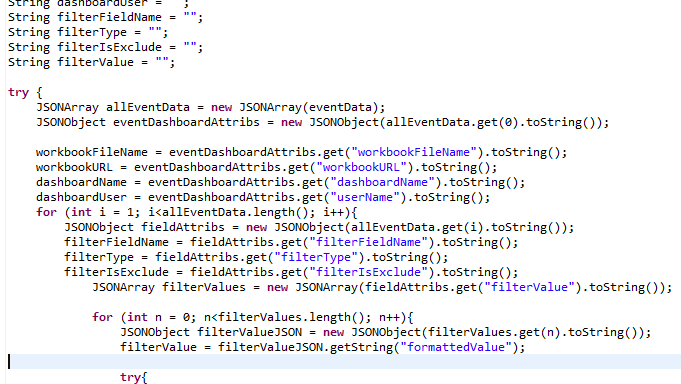 Due to the asynchronous nature of the filtering and auditing sequences, I ended up putting some more login in the service class to be able to parse a JSON string that may contain multiple filter events. 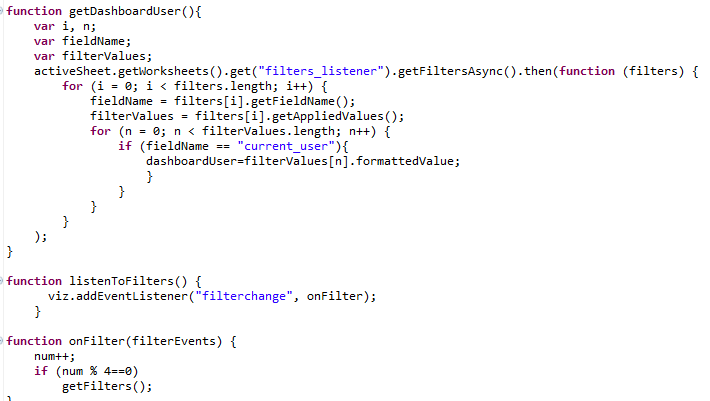 Since a single filter event may contains several values being applied, to save on the “chatter” between the dashboard and the server. This is despite the fact that the auditing is happening in the background asynchronously and does not impact the dashboard performance. Finally, I created another dashboard connected live to the audit database, to explore the audit events being captured on the first dashboard, and created a webpage to lay them out side by side. One final issue to grapple with was handling the trusted authentication SSO through the API, and was that was sorted out, the demo was complete. Enjoy! Nice solution. Apart from the partial screenshots, I did not see the sample code anywhere. Can you provide?